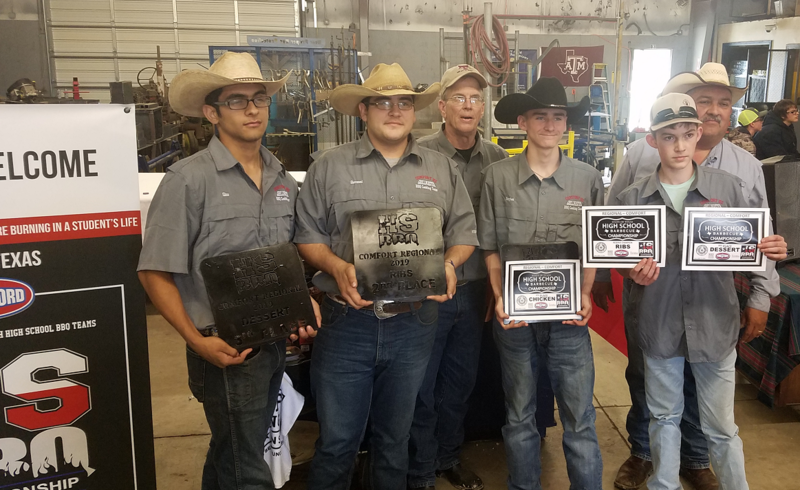 The Comfort HS Grillmaster Cooking Club hosted the Texas HS BBQ Association South Regional Cookoff this past Saturday at the Ag Complex. 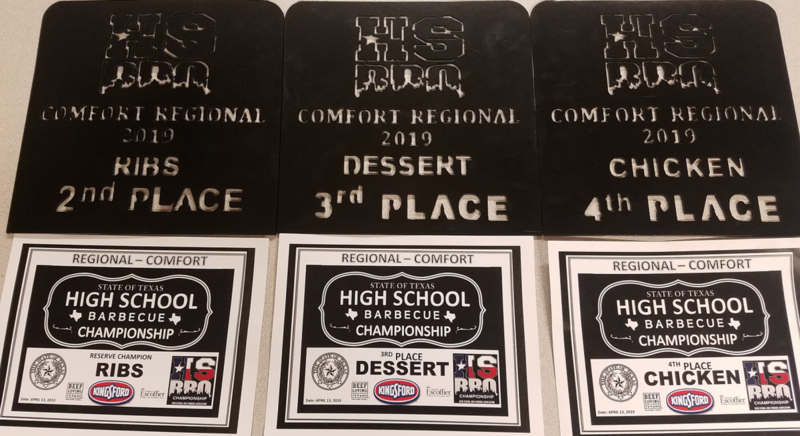 25 schools from all over Central and South Texas competed in 5 categories...Brisket, Ribs, Chicken, Beans and Desserts. The top Five Teams from each of the Nine Regions in the State win an invitation to compete at the State High School Bar B Que Cook Off on Saturday, May, 4th, to be held at Burnet High School. The CHS Grillmaster Cooking Team #2 placed 4th Overall and earned a spot at the State Competition. 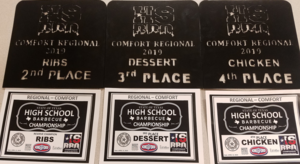 In addition, the team won Reserve Champion with their Ribs, 3rd Place in the Dessert Category and 4th place for their Chicken. The Cooking Team #2 consists of Ben Gonzales, Hayden Pike, Gino Kitts, Giovanni Kitts, and Cody Teague. Congratulations and Good Luck at the State Contest!